Wancourt is a village about 8 kilometres south-east of Arras. 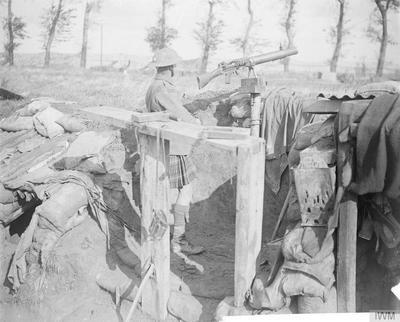 It is 2 kilometres south of the main road from Arras to Cambrai. The cemetery is a short distance south-east of the village just off the D 35 road. 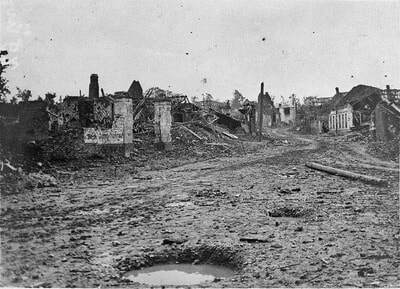 Wancourt was captured on 12 April 1917 after very heavy fighting and the advance was continued on the following days. The cemetery, called at first Cojeul Valley Cemetery, or River Road Cemetery, was opened about ten days later; it was used until October 1918, but was in German hands from March 1918 until 26 August, when the Canadian Corps recaptured Wancourt. 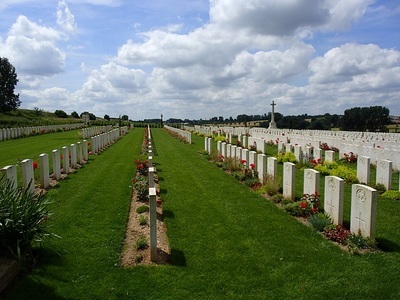 ST. MARTIN-CROISILLES ROAD CEMETERY, in the commune of ST. MARTIN-SUR-COJEUL. 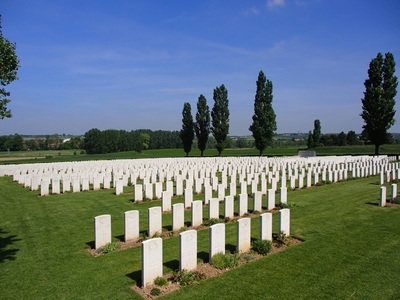 In this graveyard, about midway on the road, were buried 15 British officers and men who fell on 9 April 1917, or the four following days, and of whom 13 belonged to the 1st East Yorkshire Regiment. SHAFT TRENCH CEMETERY, in the commune of HENINEL, about 1600 metres from that village on the road to Croisilles. 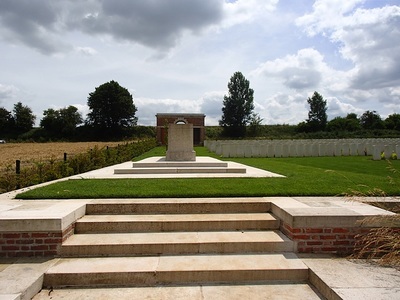 Here, in April, May and June 1917, 19 British soldiers were buried by the 50th (Northumbrian) Division. 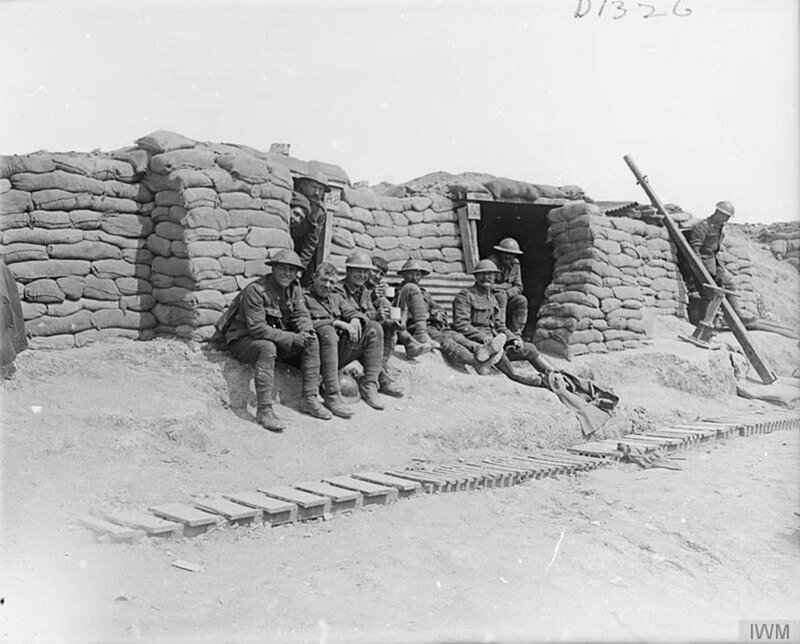 SIGNAL TRENCH CEMETERY, HENINEL. 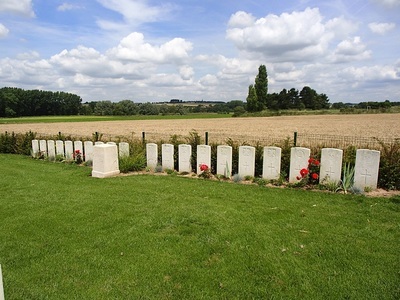 Here, on the far side of the ridge between Wancourt and Cherisy, "in a rather broken part of the British front line", 22 British soldiers were buried in April and May 1917. 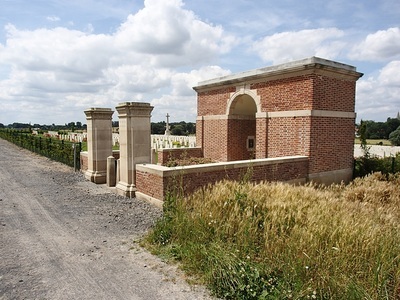 FONTAINE ROAD CEMETERY, HENINEL. 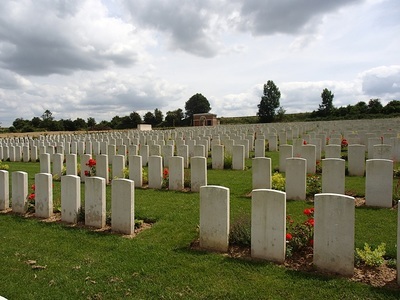 In this graveyard, slightly North of Signal Trench Cemetery, 17 British officers and men (of whom 15 belonged to the 2nd Royal Welch Fusiliers) were buried in April 1917. 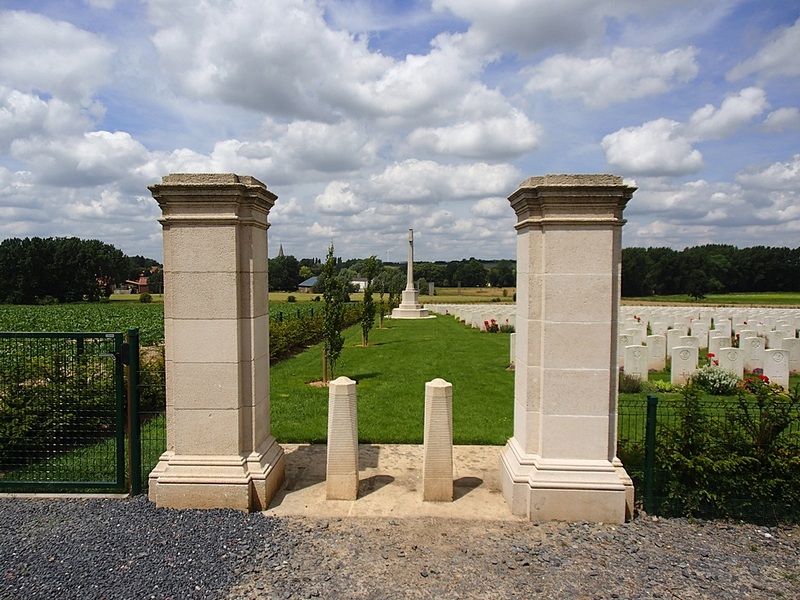 HENINEL-CHERISY ROAD WEST CEMETERY, HENINEL, which was about 800 metres East of Heninel village, contained 25 British graves of April 1917. 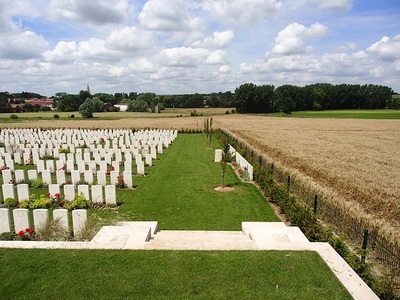 THE LINCOLNS CEMETERY, ST. MARTIN-SUR-COJEUL, about 800 metres South-East of that village, where 22 non-commissioned officers and men of the 1st Lincolns, who fell on 11 April 1917, were buried. HENIN NORTH CEMETERY, HENIN-SUR-COJEUL, about 800 metres North of the village, contained the graves of 29 British soldiers who fell on 9 April 1917, almost all of whom belonged to the 2nd Wilts or the 18th King's Liverpools. 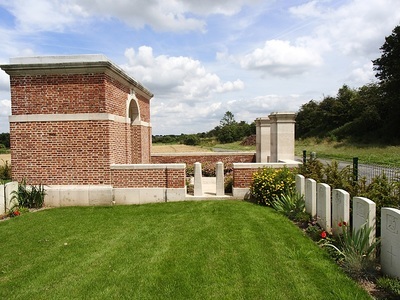 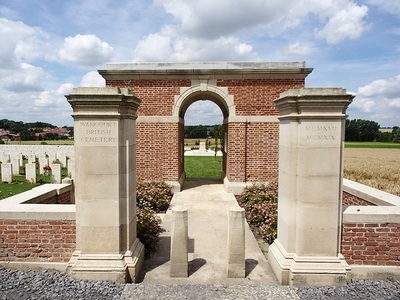 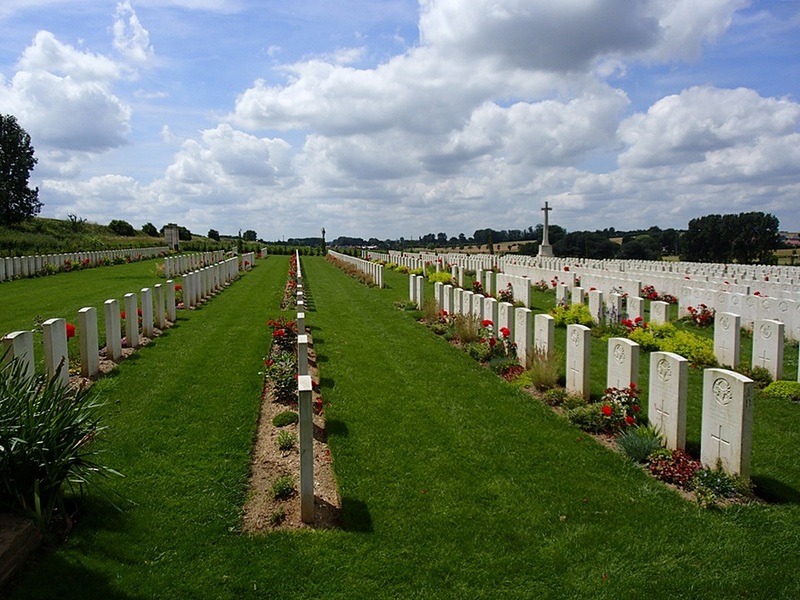 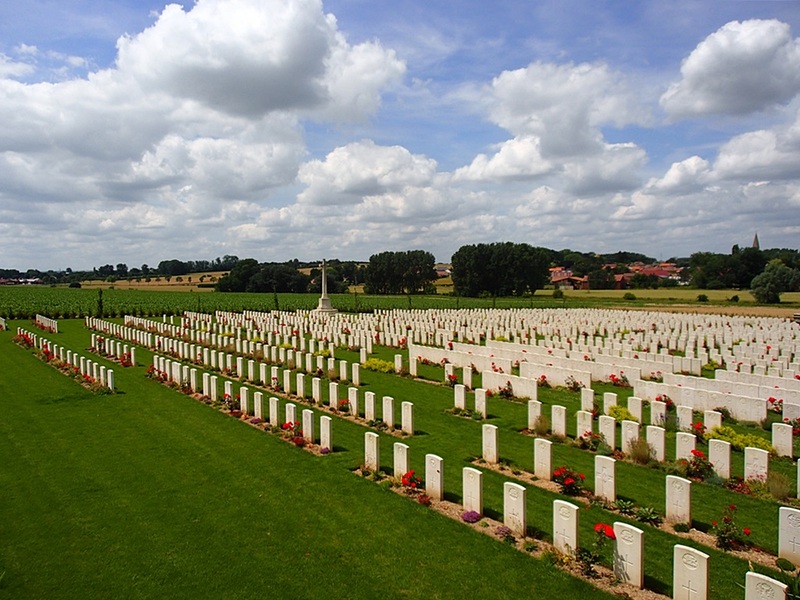 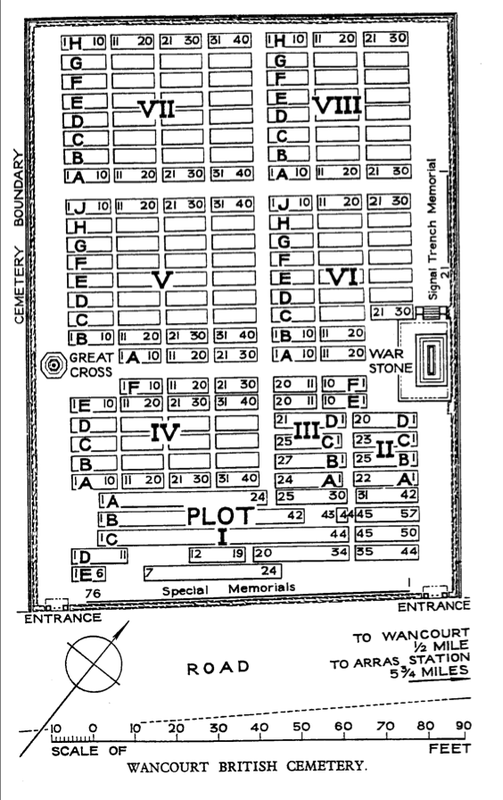 The cemetery now contains 1,936 burials and commemorations of the First World War. 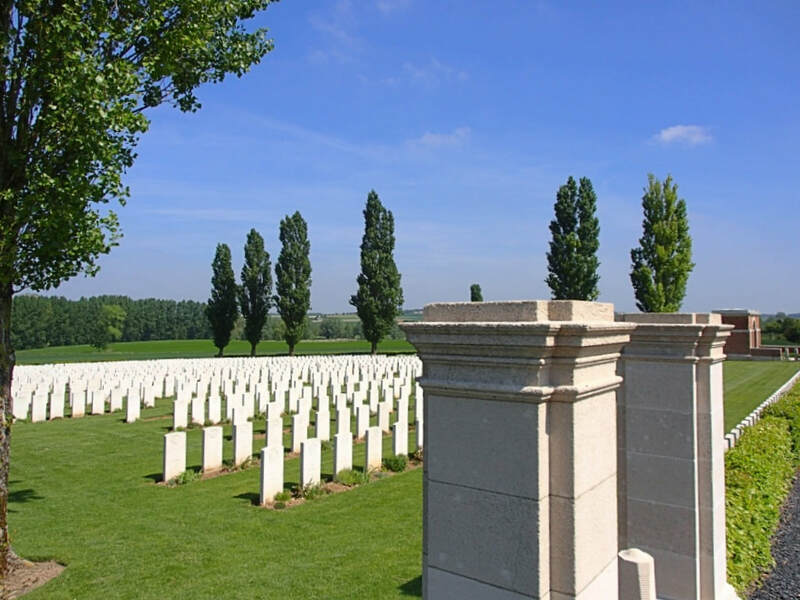 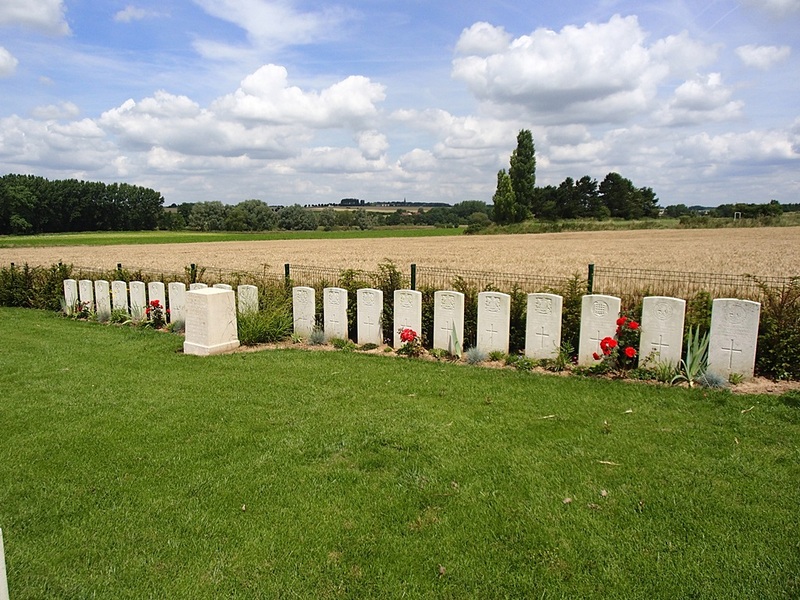 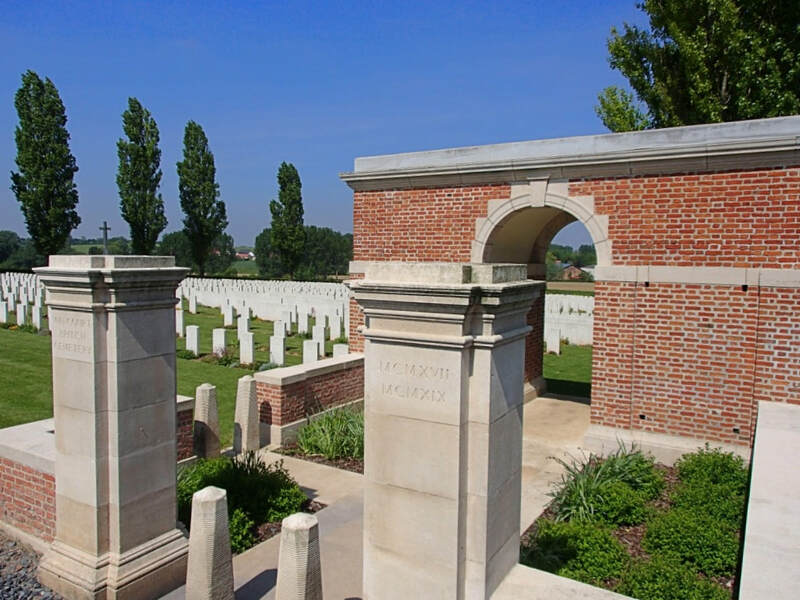 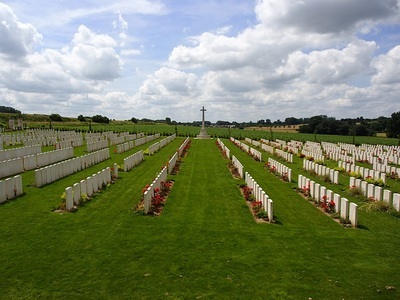 829 of the burials are unidentified but there are special memorials to 76 casualties known or believed to be buried among them, and to 20 who were buried in Signal Trench Cemetery whose graves were destroyed in later battles. 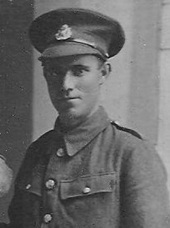 4th May 1917, aged 26. 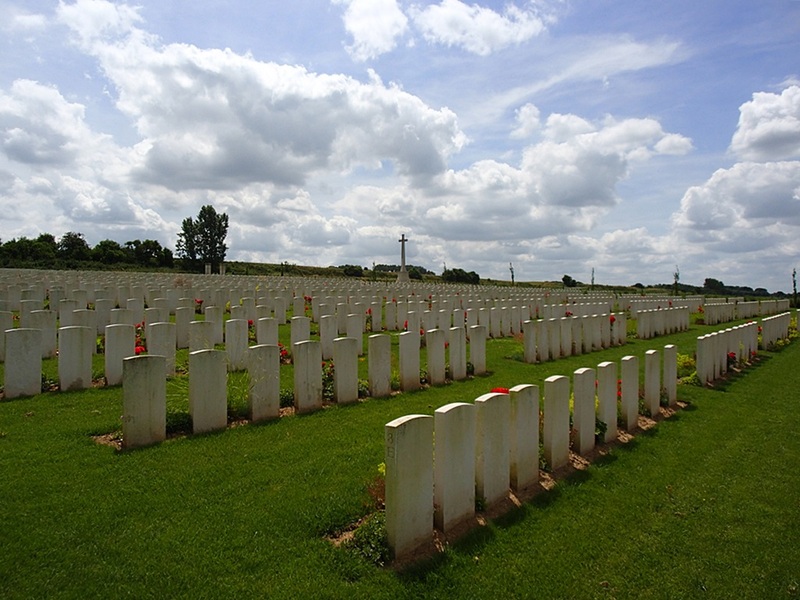 Killed in war leaving only son John William George Haylett. 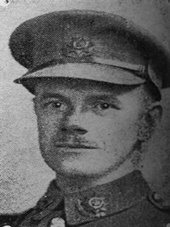 Archibald Ernest Graham McKenzie, D. S. O. 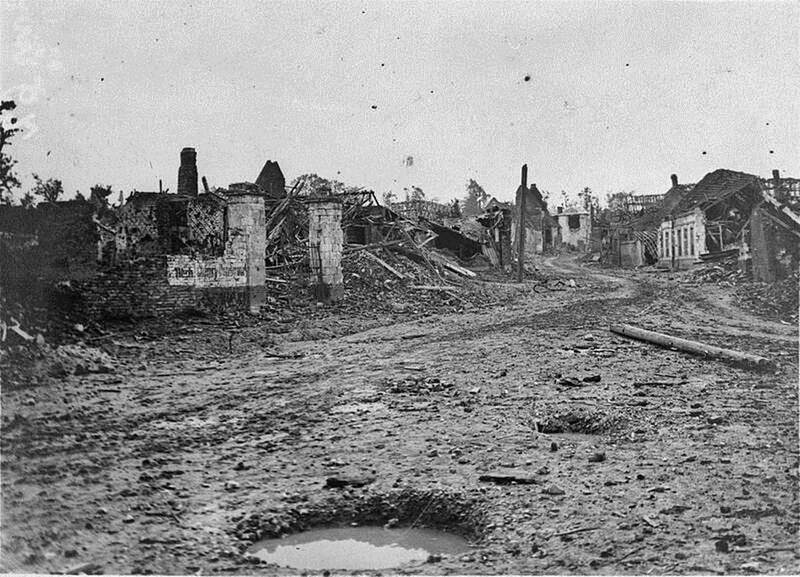 & Bar. 28th August 1918, aged 39. 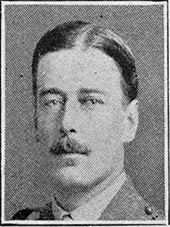 Son of Archibald McKenzie, of Campbellton, New Brunswick; husband of Charlotte B. McKenzie, of Newcastle, New Brunswick. 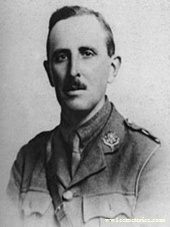 23rd April 1917, aged 39. 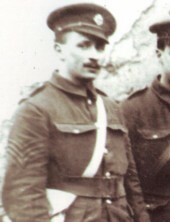 24th April 1917, aged 28. 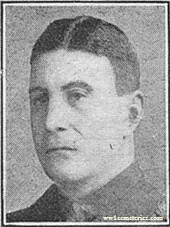 Son of Mrs. E. J. Woof, of 27, Millholme Avenue, Carlisle. 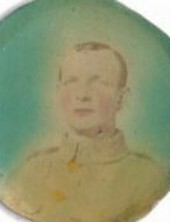 Joseph Ellis Woof of Heversham, Cumbria was married to my grandmother Emma Jane (nee Graham) on 30th September 1916. He was 28 years old and died at Arras on 24th April 1917. 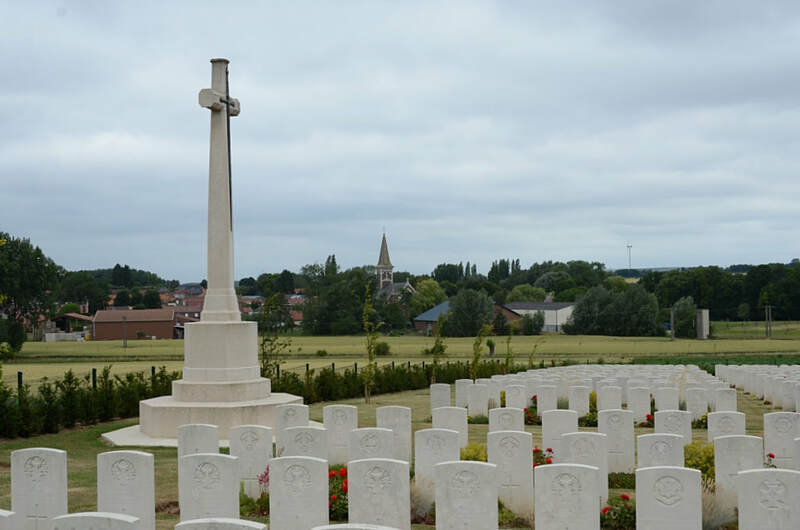 Husband of R. Woolridge, of 111, Queen's Rd., Loughborough, Leicestershire. 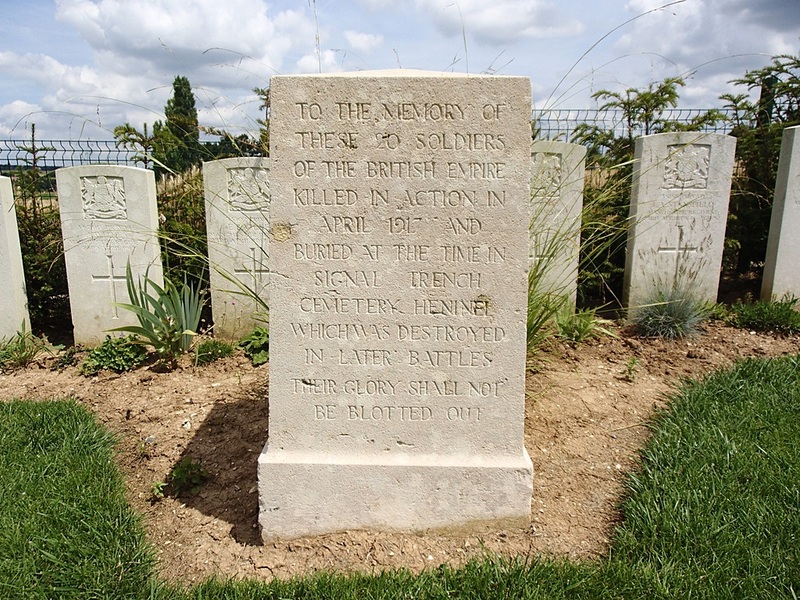 11th April 1917, aged 33.